We understand that grief following a suicide is always complex and that suicide survivors may find it difficult or uncomfortable to acknowledge their emotions and thoughts. 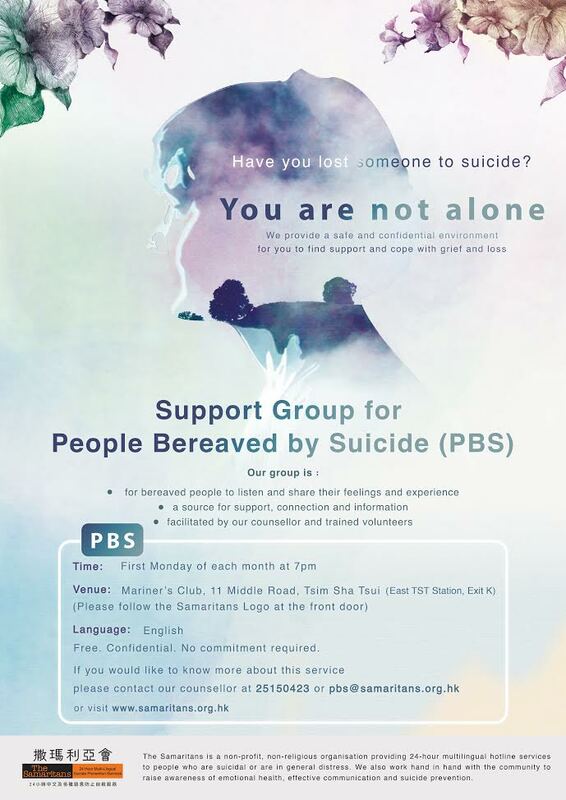 Our People Bereaved by Suicide (PBS) Support Group offers a safe, confidential and accepting place for suicide survivors to talk about their feelings and connect with others who have lost a loved one to suicide. PBS support group provides a safe place where survivors can support each other and offers information on grief associated with a traumatic and sudden loss. For information, directions or enquiries, please contact [email protected] or call 2515-0423.